During the summer, skin often gets oily, which allows makeup to be easily removed by sweat. In order to keep your makeup looking perfect during the hot weather, you must choose the right products for your skin. Luckily, we’ve recommended some products we use religiously during the summer to keep makeup looking flawless all day. During the summer, foundation has to feel light, yet have substantial coverage to keep your skin looking flawless in an attempt to avoid patchy coverage. You have to choose the right foundation based on your skin type. For oily skin, you should choose a foundation with a matte finish that has good coverage, but something that’s not too thick. For dry skin, you should choose a foundation with a dewy finish to lock in your skin’s moisture for a healthy glow. Concealer is optional because usually if your skin is looking clear, this step can be skipped altogether to avoid having to use a lot of unnecessary products during the summer. Concealer can be applied before or after foundation depending on the person. I usually apply it after foundation to cover spots that are still visible. A salmon-colored concealer is usually used for covering horrible dark circles. For people who have acne, a green-colored concealer will counteract the red on your skin for a seamless finish. 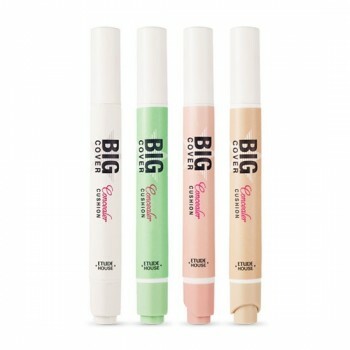 Therefore, the concealers that I recommend are: The Saem Cover Perfection Tip Concealer, and Etude House Big Cover Cushion Concealer. Some people say that they can’t go without doing their eyebrows because eyebrows are said to be an indicator of someone’s character. For example, if you have straight eyebrows, people view you as innocent and gentle. When you have arched eyebrows, people see you as more of a stronger, chic person. For eyebrow pencils, I would recommend two products: Benefit Goof Proof Brow Pencil, and Shu Uemura Hard Formula Eyebrow Pencil. Now for my favorite step: eyeshadow. I feel like you can change your entire look just by changing the color of your eyeshadow. For a natural makeup look, light-colored shadow can be applied usually in a combination of two colors for an innocent, soft vibe. For a touch of shimmer, you can add glitter with minimal color for just the right amount of glow. 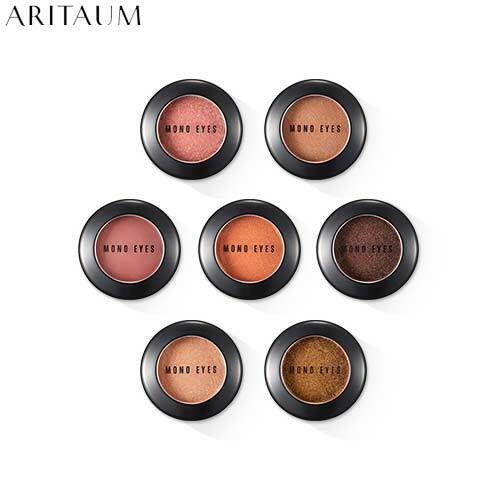 My favourite eyeshadows with amazing pigmentation would be: 3CE Mood Recipe Multi Eye Color Palette, and Aritaum Mono Eyes Single Eyeshadows. You can help your eyes stand out depending on the style of your eyeliner. A cat eye essentially brings your eyes upwards, which makes them stand out more. When you draw your eyeliner downwards, you give off more of an innocent vibe, with the look often compared to sad puppy eyes. By foregoing a wing, you’re essentially just filling in the empty spaces on your waterline, which makes your eyes appear bigger. Eyeliners that I have noticed can withstand the humid season would be: 3CE Super Slim Liquid Eyeliner, and K-Palette 1 Day Tattoo Real Lasting Eyeliner. During the summer, mascara is the one makeup product that can easily smudge. You have to find the perfect waterproof mascara for keeping your lashes curled all day, and it’s really difficult! Therefore, a tip to use every day when applying mascara is to curl the lashes, apply mascara, curl the lashes again, and finally apply another layer of mascara. Using this technique ensures that your lashes stay voluminous and curled all day long. Mascaras that I recommend to keep your lashes curled all day would be: Etude House Lash Perm Curl Fix Mascara, and Peripera Wholly Deep Mascara. Lip color definitely makes a statement in combination with one’s whole makeup look. Depending on the color, your lips can stand out or have a very minimal presence. Personally, during the summer we’re inclined to choose more vibrant colors such as coral, orange red, or pink. These colors simply scream summer and bring out that fun, seasonal vibe. Lastly, the moisturizing lip products that I recommend with a variety of colours would be: Mamonde Creamy Tint Color Balm Intense, and 3CE Mood Recipe Matte Lip Color. We’ve listed some of the products we’ve personally tested and would say these are able to withstand the summer heat. Usually during the summer, we recommend using less products on the skin. When you sweat, your pores tend expand, becoming vulnerable to makeup and bacteria which then seep deep into the skin. Fingers crossed you’re able to find a personalized makeup look best fit for this summer season!